Tens of thousands of mature date palm trees have been transplanted from fruit-producing orchards in the Coachella Valley into urban coastal Southern California landscapes. (D. R. Hodel). From lemons to loquats, it's common to see fruit trees with an abundant, but unpicked, harvest. Urban fruit often goes to waste, whether on a neglected backyard tree or in a public setting. Under-utilized urban fruit trees have gotten some attention in the Los Angeles area in recent years, with projects like Fallen Fruit, a collective that maps fruit trees growing in public spaces, and Food Forward, a non-profit that harvests unwanted fruit and donates it to food banks. 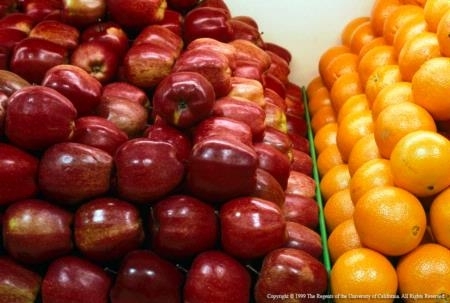 One fruit, though, is not on the radar of foodies and foragers. Yet it's crunchy, sweet, flavorful, often seedless, and very common in Southern California landscapes. 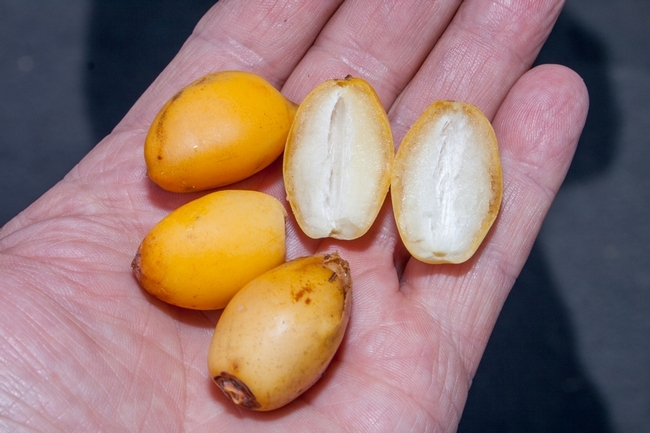 It's the fruit of the date palm, rarely thought of as a food source in our urban environment, more frequently viewed as a nuisance because dates fall off trees, where they create litter that must be cleaned up. 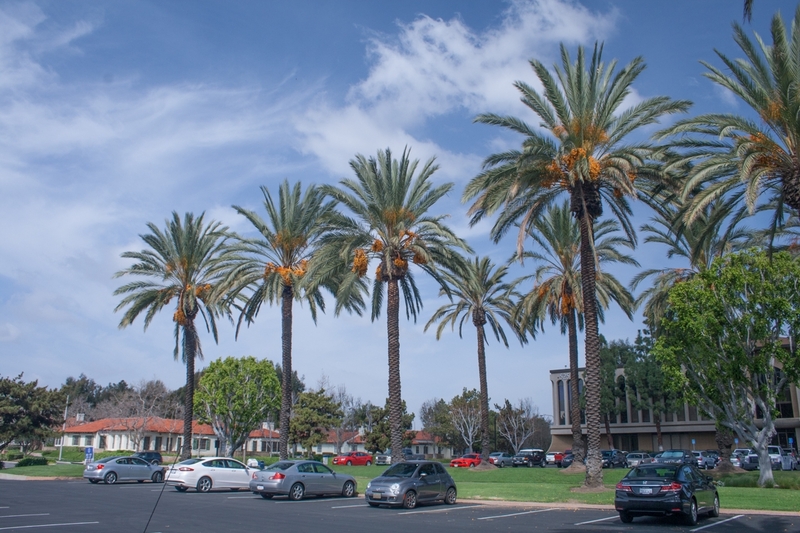 Palm trees produce abundant date fruits that fall into the landscape and become a nuisance. (D. R. Hodel). Why do we have so much of this fruit? For the last 30 years, Southern California has seen the transplanting of tens of thousands of mature Phoenix dactylifera, the edible date, from fruit-producing orchards in the low-desert Coachella Valley into urban coastal Southern California to landscape homes, hotels and malls from Santa Barbara to San Diego. 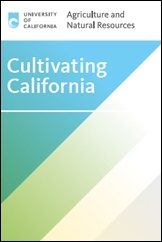 Unfortunately, coastal Southern California lacks the high sustained heat and aridity for proper fruit maturation and curing to produce traditional soft-ripe dates of good eating quality. The dates that fall from the trees have been unattractive to gather for sale and consumption, processes that could help to resolve the fruit litter problem in the landscape. However, some varieties of dates can be eaten at a less than a mature state, traditionally called “khalal.” Fruit in the khalal stage have attained their maximum size, are typically yellow or red, have a sweet flavor, and are crunchy, somewhat like an apple. Several date varieties, like ‘Barhee,' are sometimes sold and eaten in the khalal stage. 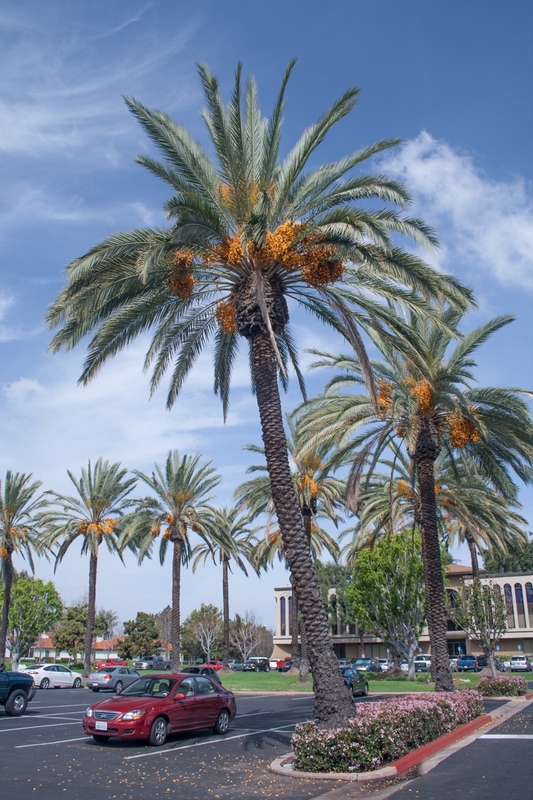 Fortunately, from a food standpoint (or unfortunately if you are a landscape manager), date fruits do mature to the khalal stage in coastal Southern California because high sustained heat and aridity are not required to attain this stage of development. Urban foragers looking for their next food adventure, or even a potential enterprise, might want to consider taking advantage of this otherwise nuisance and unwanted fruit. Khalal fruit can be gathered from the ground and cleaned. But it is best to collect them off the palm. Cutting an inflorescence (entire fruit stalk) and lowering it carefully to the ground would be ideal. Khalal-stage fruits of the date variety ‘Zahidi’ are really good to eat: crunchy, sweet, and flavorful. Also, they are seedless (D. R. Hodel). Oh January 1st, how I hate you. If you’re like me you’re still recovering from the month long holiday food hangover. With three months until spring and swimsuit season on the horizon, you’re feeling the pressure to lose the winter coat! As always, you make that infamous New Year’s resolution: TO LOSE WEIGHT! Okay the last one is my favorite quote from the Devil Wear’s Prada, but working in the health field I have found that sometimes people actually think that’s a solution. We find ourselves making resolutions that eliminate entire food groups from our diets, because we think it will help us lose weight. 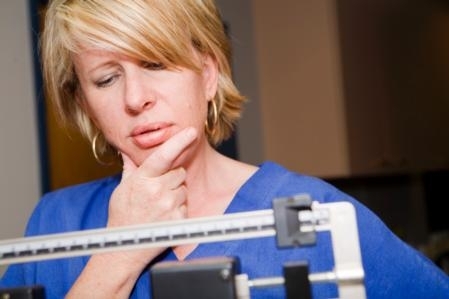 The thing most people don’t know or realize is that sometimes the absolutes we make can be very harmful to our health, and in the long run can actually cause us to gain the weight back plus more. So this year, let’s make an attainable, realistic goal. Here are three tips selected from www.choosemyplate.gov, to have a healthy year! I will add 1 serving of fruits and vegetables to each meal. I will make half of my grains whole. I will choose water or low-fat milk more often. Combining these foods will help you stay fuller longer while increasing your nutrient consumption. Don’t discount physical activity – being healthy isn’t about just what you eat. Adults need 30 minutes of physical activity a day and children need 60 minutes. Just because you don’t have a gym membership doesn’t mean you can’t be physically active. Remember that 30 minutes can be broken up throughout the day. Start a walking club with your co-workers, neighbors or friends. You’re more likely to do it if someone keeps you accountable. Do what you like! If you hate to run, don’t do it. There’s no use in driving yourself crazy doing something you hate. If you like to dance, then turn the radio up and have fun! Remember to always consult your physician before beginning a rigorous exercise regimen. May your new year be full of realistic, attainable, resolutions! Keep it positive. Select healthy snacks that help you stay full longer. Get moving so you have more energy during the day. For more information and health tips visit www.choosemyplate.gov. Wishing you all a very healthy 2012! I have this huge grapefruit tree in my garden. It is at least 30 feet high and just as wide. It must be at least 70 years old and yields hundreds of pounds of grapefruit annually. The variety is an old standard variety called "Marsh." Marsh grapefruit were introduced in Florida in 1860 and it has been in the industry ever since. It is relatively cold hardy variety and has survived many hard freezes here in northern California. Even though our grapefruit tree gives us a lot of fruit and it has a very long harvest period (February to August), I have to say it isn’t the best tasting variety of grapefruit I have ever had. No, that honor would go to some of the more recent grapefruit introductions. There are several hybrid varieties that yield large and very sweet fruit. They are just now beginning to harvest many of these and they will be in your farmers markets and grocers soon. The trees could be in your garden too but I would wait until spring to plant since the young trees can be very susceptible to frost injury. One of my favorite "grapefruit" varieties is one that is similar to my Marsh but sweeter and has an earlier harvest period. It is a "Cocktail" hybrid. However, it really isn’t a grapefruit at all but rather a hybrid of a mandarin and a sweet pummelo. Its juice and fruit are so sweet and delicious. It does have seeds but the flavor is amazing and truly worth planting in the garden for its wonderful juice as well as for fresh eating. It begins to ripen in January and will hang on the tree through March.  "10/1988, EMN: My opinion, for what it might be worth, regarding Oroblanco vs Melogold, is this: For maximum returns as a cash crop, plant your acreage to Melogold; but save one space near your back door for a tree of Oroblanco for your own use." Melogold is another hybrid and a sister variety to Oro Blanco. 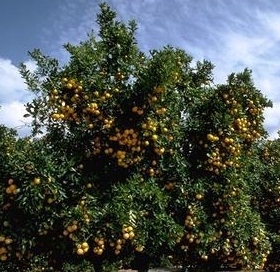 It was introduced to the industry in 1986 by the Citrus Research Station at UC Riverside. Melogold is fairly similar to Oro Blanco but the fruit is a bit larger and the rind is more yellow at maturity. Both are winners in my book. For more information on this and other citrus varieties for your garden, read the free online publication "Tried and True or Something New: Selected Citrus Varieties for the Home Gardener." Peel strips of the rind from the grapefruit. Include a small amount of white pith. In a medium saucepan, blanch the strips by bringing them to a boil over moderate/high heat. Drain and repeat once more. Dice the blanched peels into about ¼ inch pieces; reserve. Combine the grapefruit juice, cranberries, 1-1/2 cups of the sugar and 1-1/2 cups of water and bring to a boil. Simmer over low heat, stirring occasionally, until the liquid has reduced by half and the cranberries are cooked down, about 1-1/2 hours. In a medium saucepan, mix the diced blanched grapefruit peel with 1 cup of sugar and one cup of water. Bring to a boil and then simmer over moderate heat, stirring occasionally, until the peel is translucent, about 40 minutes. Add the peel and syrup to the cranberry mixture and simmer together over moderate heat, stirring occasionally, until reduced to 3 cups, about 25 minutes. Serve at room temperature or chilled. This conserve can be stored for up to a month in the refrigerator. Note: I like to pour the slightly warmed conserve over cream cheese to spread on crackers or I also serve it with fish or turkey. 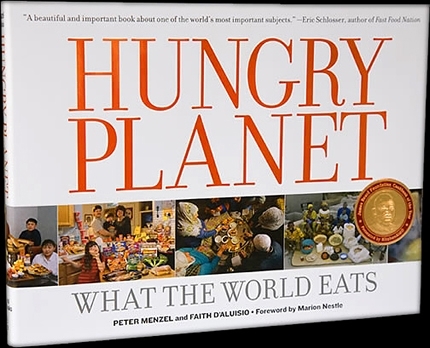 What got me started on this contribution is a book I recently read, called Hungry Planet by Peter Menzel and Faith D’Aluisio. It photo-chronicles what an average family from different regions around the world eats in a week. Fascinating reading, but not the topic of this blog, just the inspiration. 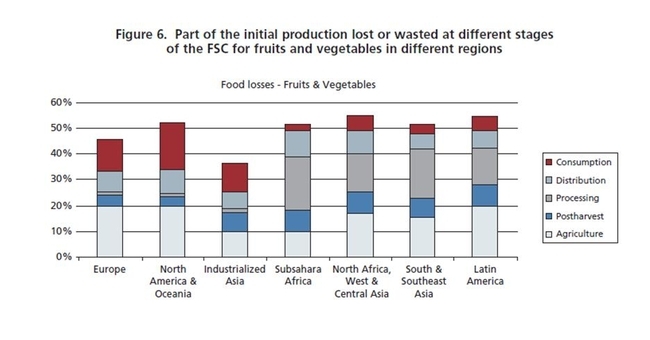 The report does distinguish between loss and waste, pointing out that losses, which occur in production, harvest, postharvest and processing, are most prevalent in developing countries, whereas waste, which occurs at the end of the processing phase, is due to poor distribution and consumption habits, found in the industrialized countries. 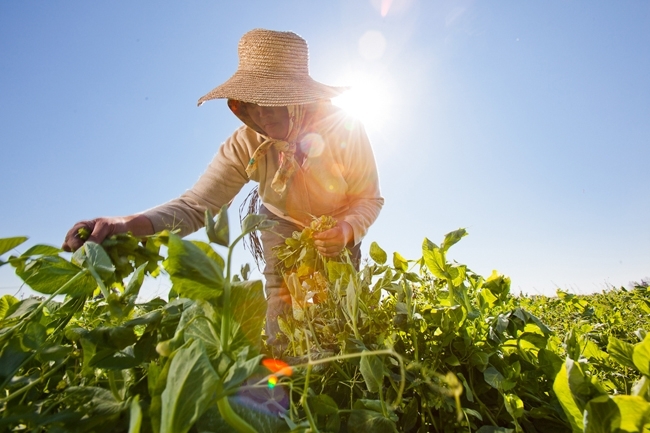 In developing countries, 40 percent of losses occur at post-harvest and processing levels while in industrialized countries more than 40 percent of losses happen at retail and consumer levels. 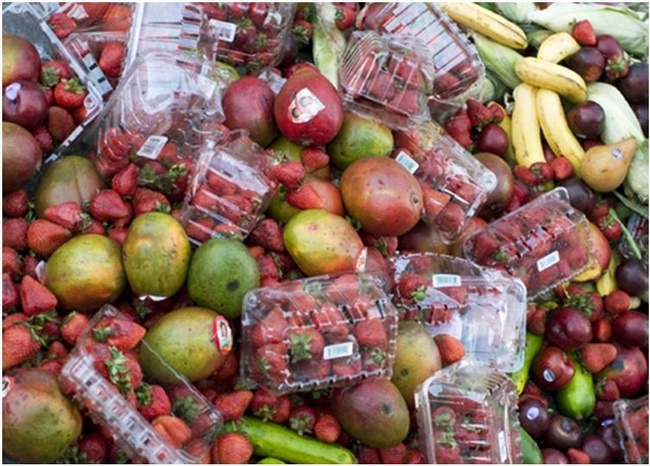 The report also points out that per capita waste by consumers is approximately 10 times greater in Europe and North America than it is in sub-Saharan Africa and South and Southeast Asia. Not surprising, just hard to hear. And, if that’s not enough what about the time and gas required to take it from the farm to the packing house to the shipper to the store to the home to the dump? And once it’s at the dump, rotting fruits and vegetables produce methane, a greenhouse gas 20 times more potent than carbon dioxide. OK, OK enough with the lecture. What can we do?